Are you trying to find relief from the sticky Midwestern summers? 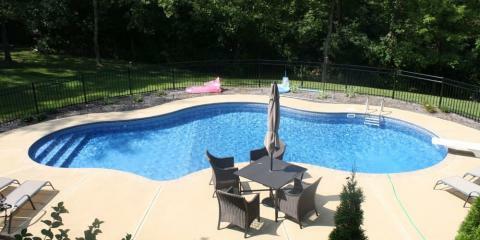 Reach out to the experts at Aquarian Pools & Spas in Loveland, OH. This locally owned and operated company has provided families across southwestern Ohio with stunning swimming pools, spas, and accessories for over 36 years. Featuring vinyl liner, fiberglass, and above ground options, you’re sure to find exactly what you’re looking for in their 9,500-square-foot retail space. Whether you chose a pool in stock or use their 3-D based system to create your own unique design, your newly installed swimming pool will soon become everyone’s favorite destination. To ensure the longevity of your investment, they provide quality repairs and maintenance services on all of their swimming pools and spas. Whether it’s time for a routine cleaning and filter replacement or your pool requires something more advanced, such as a pool liner replacement or pump repair, they offer the products and services you need to make sure your pool is always ready to be enjoyed. Complete your summer look with colorful accessories such as pool covers, lighting, and water toys. They also carry a variety of grills, fireplaces, and patio furniture sure to keep your family outside all season long. After the sun fades and umbrellas are lowered, their team stays readily available to help you with your pool winterization needs. If you're looking for a way to stay cool during the summer and cut back on expensive vacation costs, let Aquarian Pools & Spas transform your property into a vacation hot spot. Call (513) 576-9771 to speak with an expert or visit them online to view a full list of services.